As I continue my quest for self-improvement, I need to draw the line somewhere of how far I will go to be in good shape. Therefore, I will not take steroids. Granted, if I truly wanted to be in great shape, I should probably lift weights and opt for the 'roids. However, something just doesn't feel right about that plan. One thing I have been doing, though, is curtailing my drinking. I am not going to go cold turkey with drinking because of my successful track record of social drinking. I believe I can drink in moderation and will keep that in my repertoire of skills. As I cut down drinking, I am planning to not bring any liquor into my house until I have another one of my popular and classy parties (probably soon). So without buying liquor until then, I will only drink what is in my house. I happen to have a big bottle of Seagram's gin in my house, so I've been drinking a bunch of martinis of late. If you ever wondered if it is a good or bad idea to drink martinis, I suggest reading an old New Yorker article by Roger Angell. 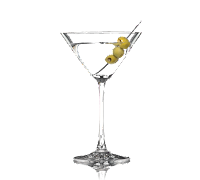 He described a martini in a perfect way that I'll never forget, saying it has a "stark medicinal bite." That's so true, and I've come to love that medicinal bite. 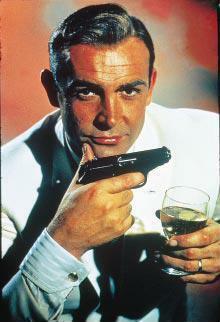 Glamorizing drinking is probably a bad thing, but perhaps no one did it better than James Bond. While I am a fan of Bond's wardrobe, I question his choice of martinis. He typically orders "a vodka martini, shaken, not stirred," which is redundant. Martinis are rarely stirred, so when ordering one, saying "shaken, not stirred" is a bit goofy. I also prefer "dirty martinis" with gin to vodka martinis because they have more of that medicinal kick I dig and I like the extra drops of olive juice. And to me, ordering a "dirty martini" sounds far sexier than Bond's order. Who doesn't like a dirty drink now and again? I think steroids is really not the way to get in shape...I don't know what those guys we're thinking. But I do know a couple or two about responsible drinking, lol! Believe it or not, Friday night is my only Vodka Martini night! Three shots the most. The kids need to be in bed of course. And hubby needs to settle in his lazy boy first. Then, it's my little make shift bar and just me for the next 60 minutes..(with my fashion magazine in hand of course)! This is life!! !